Thank you so much for entrusting the care of your pet with us! 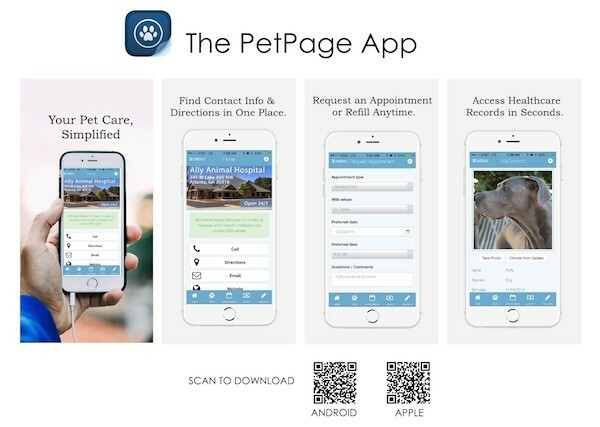 We would like to invite you to access your pet’s records online. You will then be sent a confirmation email. Click the link in that email. Check your SPAM folder if you do not see the confirmation in your inbox. You can now login to our mobile app to view upcoming appointments , healthcare reminders , refill prescriptions , request appointments and more! © 2019 Bartlesville Animal Hospital.